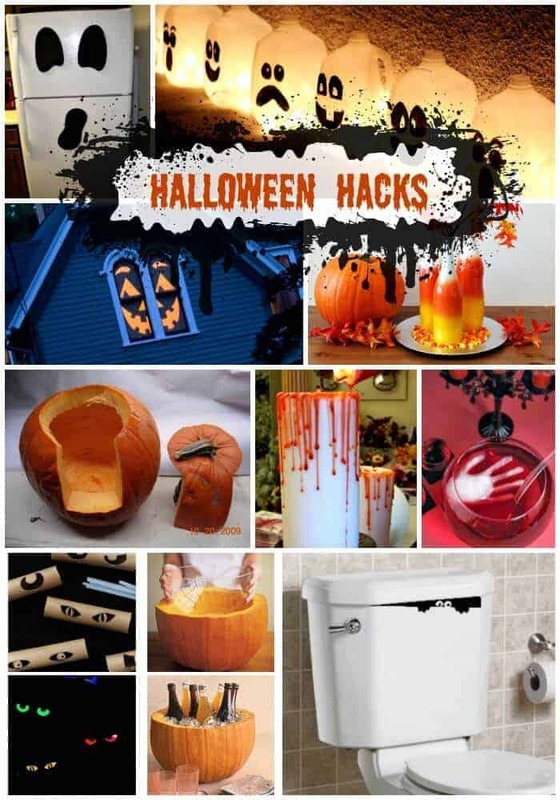 Looking for some new and creative Pumpkin Ideas? 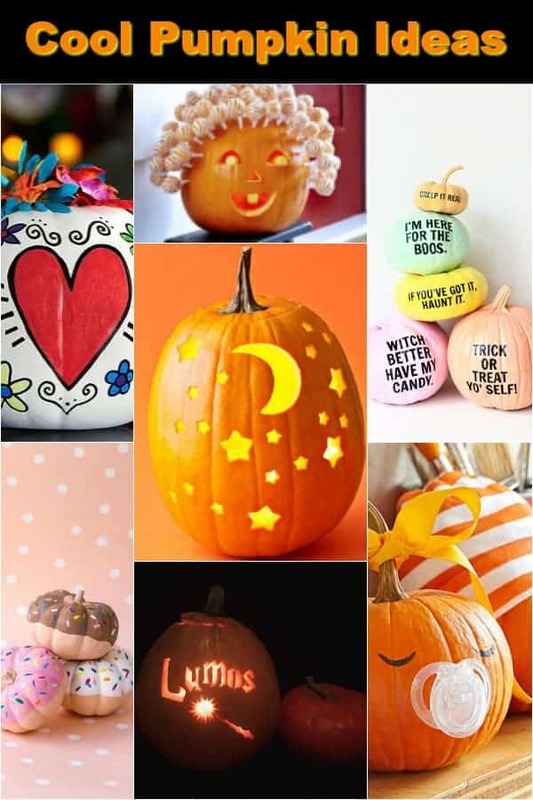 We’ve got No-Carve Pumpkins, Easy to Carve Pumpkins, Pretty Pumpkins, Painted Pumpkins – we’ve got them all! 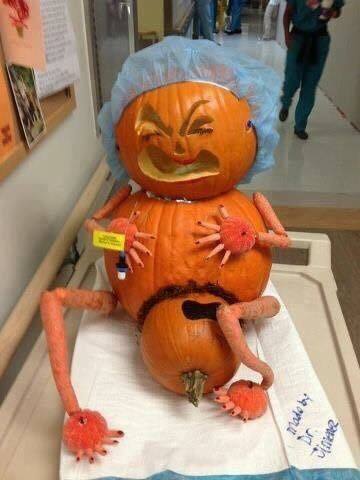 Pumpkin decorating has come a long way since I was a kid. 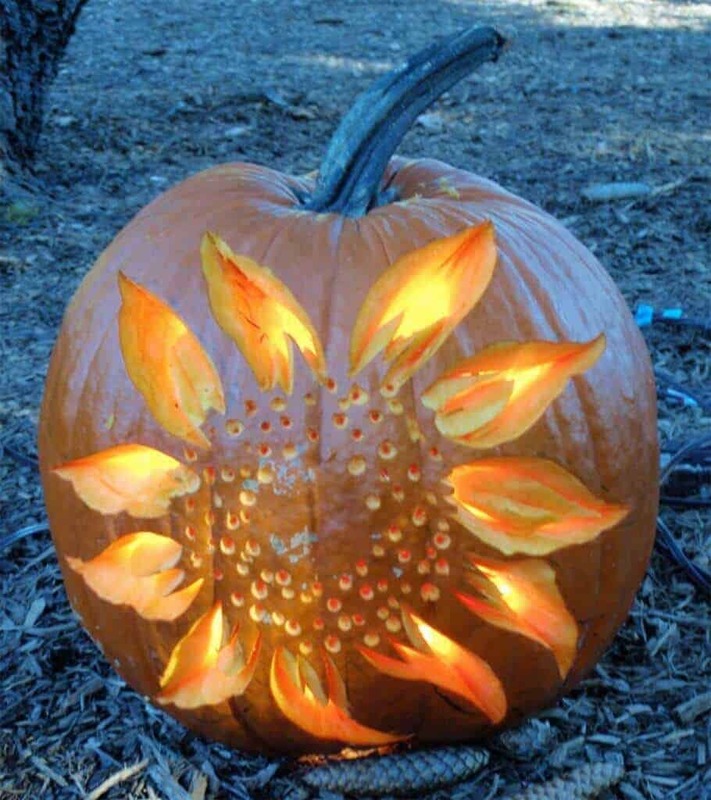 People have come up with so many awesome ideas to gussy up the average orange pumpkin. They are using all sorts of things to decorate them with: tacks, paint, stickers, stencils, gold leaf, and even confetti. Today I am showing up some of the coolest ideas I’ve seen in quite a while. 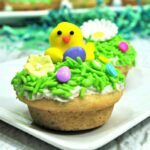 I think you’ll like them, too! 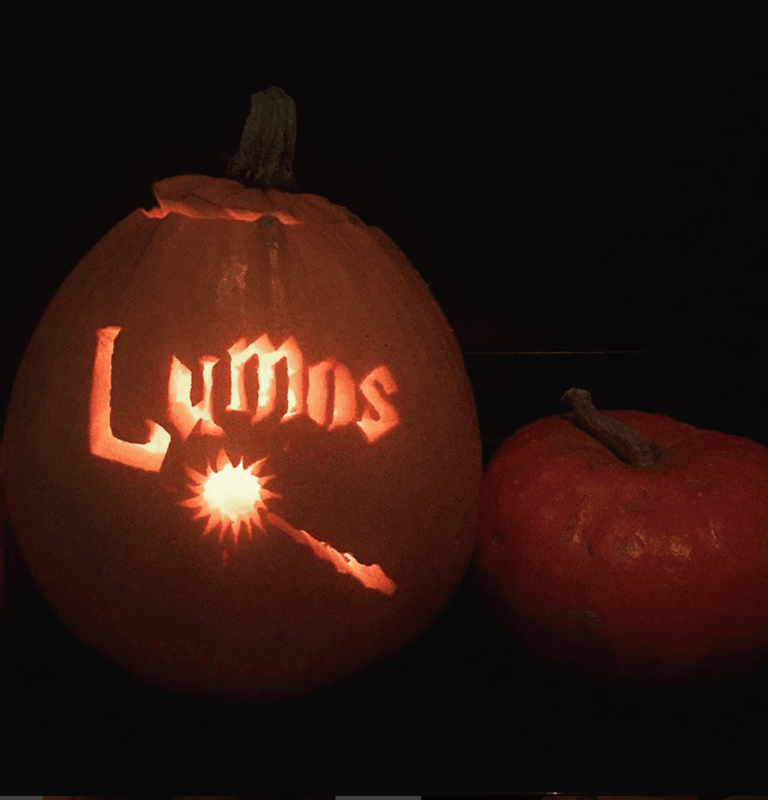 Let’s see those cool pumpkins and decide what we want to make this year! 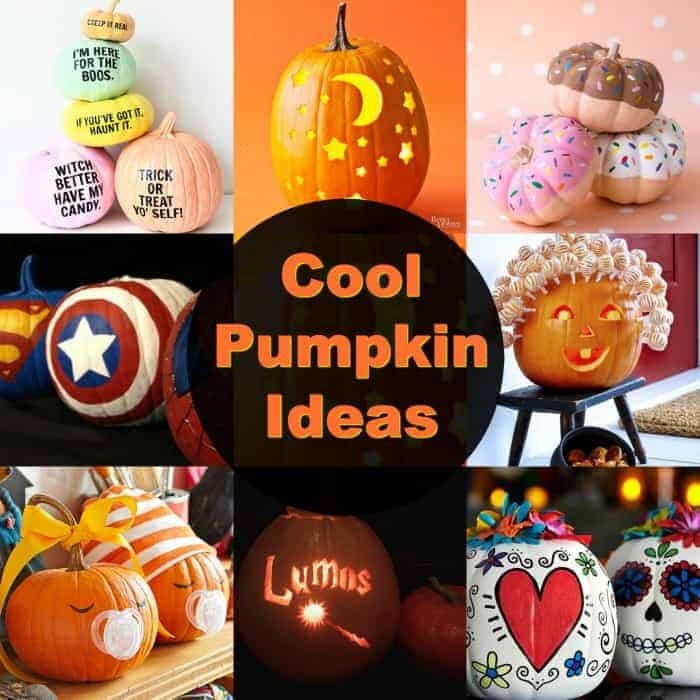 Michaels shows us how to make these fun and colorful Day of the Day Pumpkins. 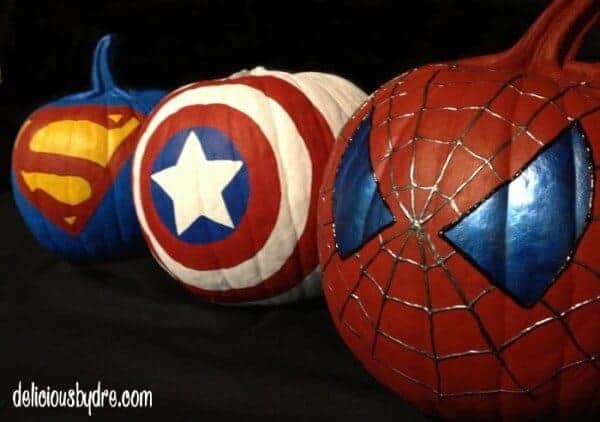 These Superhero Pumpkins by Delicious by Dre really are SO cool. I know loads of boys who would love to make these! 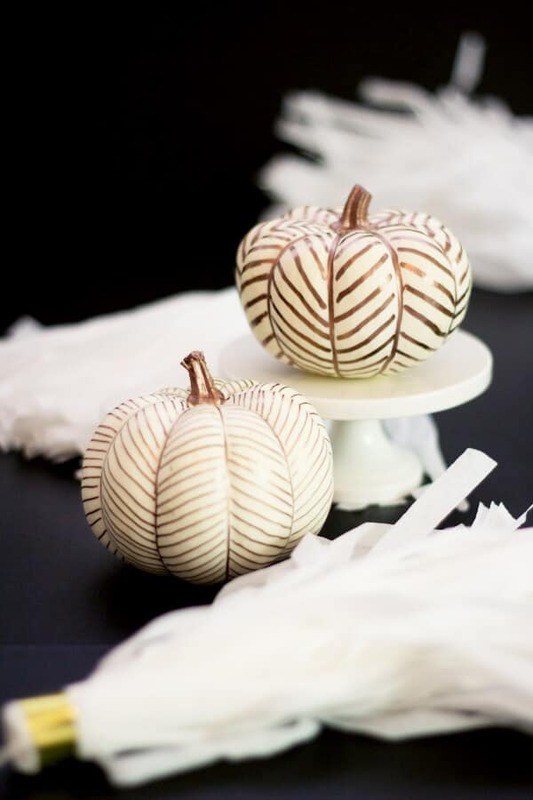 Copper Herringbone Pumpkins by Lovely Indeed are high style and very chic. 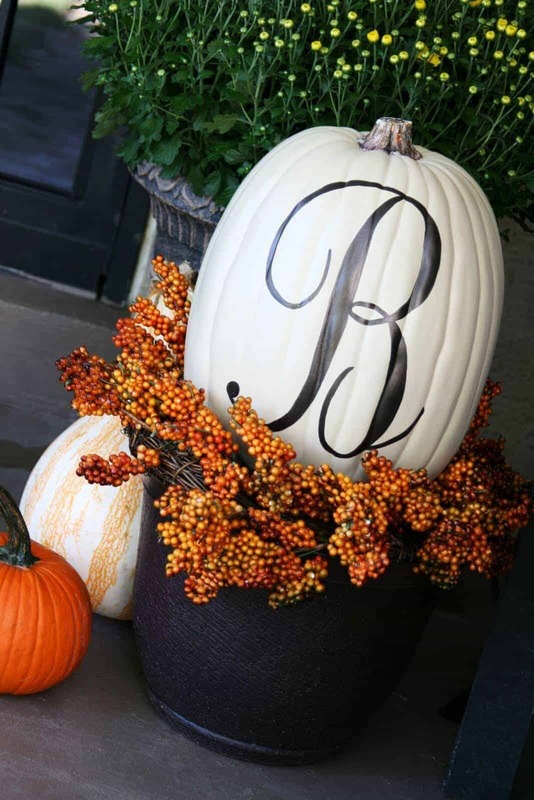 Monogram a Pumpkin like The Butlers. This guy has been pinned so many times! 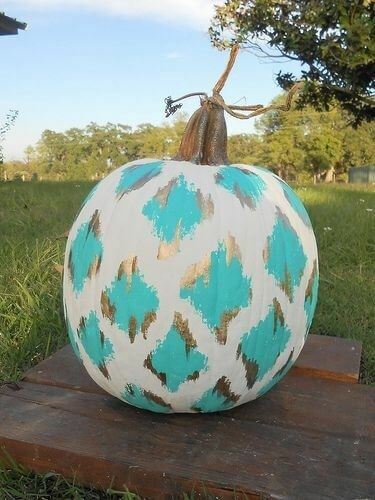 I am loving this Ikat Pumpkin by Sorority Sugar. Very cool! 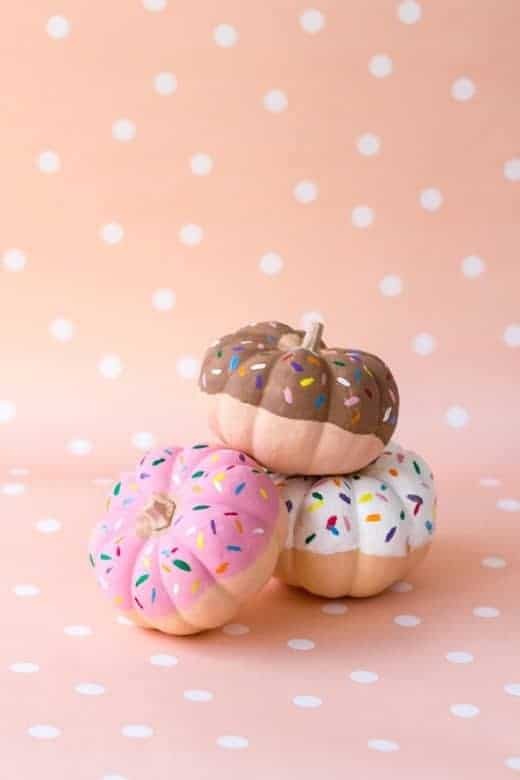 Studio DIY made donut pumpkins that are cute enough to eat! 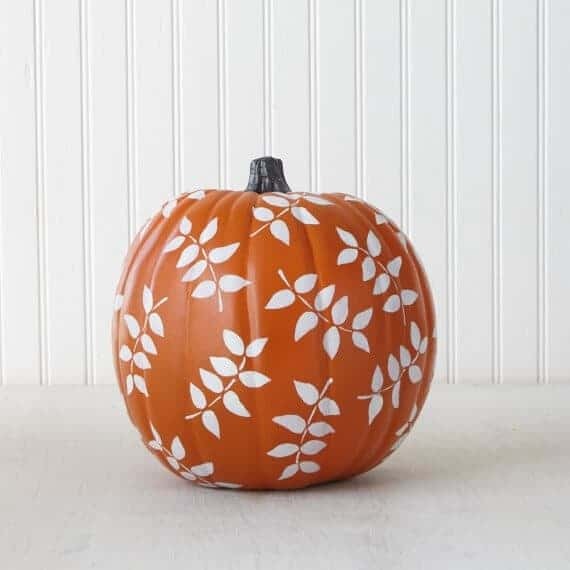 Stencil Pumpkins by Martha Stewart are so easy to do and look really elegant. 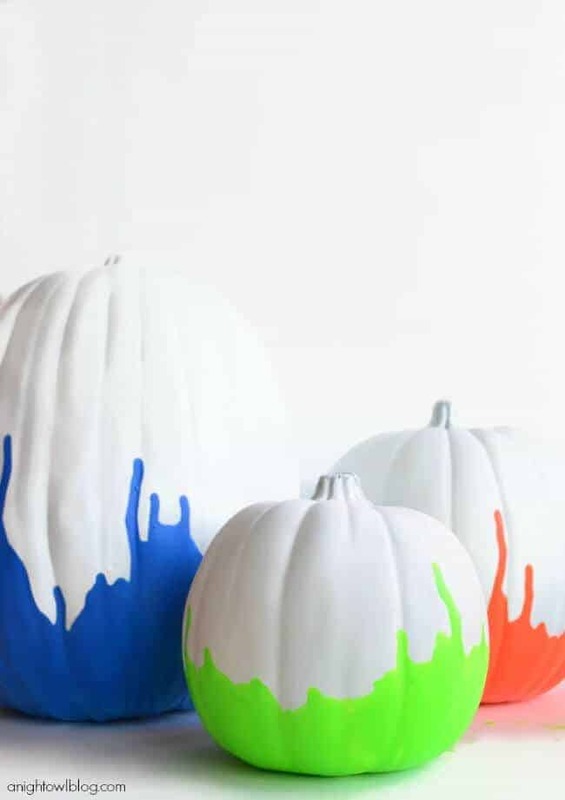 Channel your inner 80’s gal and make these rad neon paint dipped pumpkins by A Night Owl Blog. 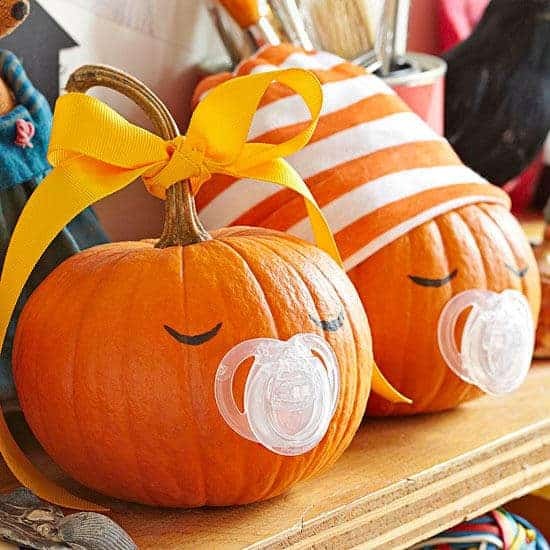 Not only are these Baby Pumpkins adorable and sweet – they are probably one of the easiest pumpkin designs ever!! All you need is a hole for the pacifier and a little bit of black marker and a cute beanie hat! Done! See the instructions at Parents. 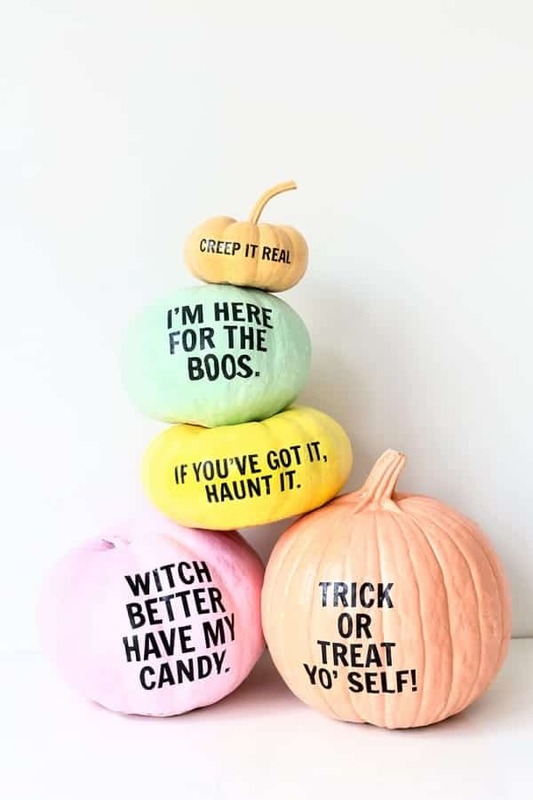 These PUN-KINS are one of my favorites from Studio DIY. What I love is that you can download the free printables and put them on using tattoo paper! They literally couldn’t make it any easier!! 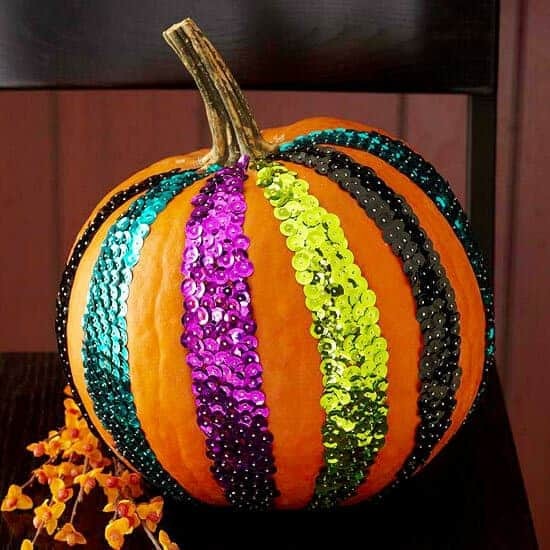 BHG shared these sequin pumpkins and they are so colorful and fun! 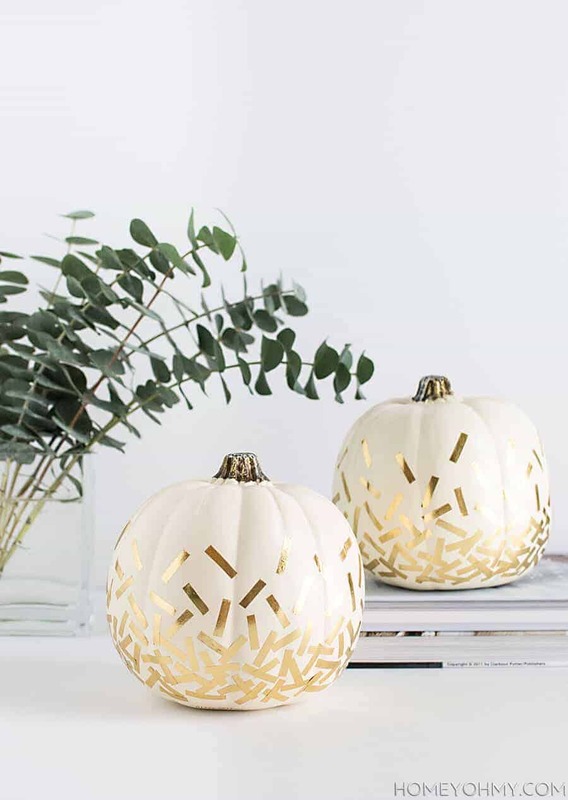 Get the party started with these gold foil confetti pumpkins by Homey Oh My! 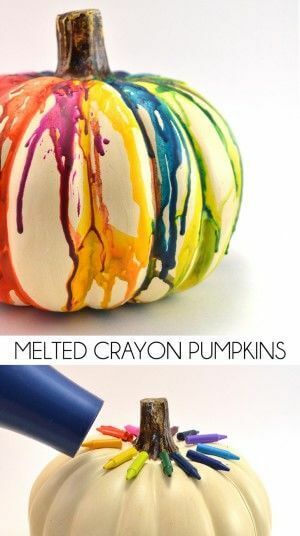 These melted crayon pumpkins by Dream a Little Bigger look like they would be SO much fun to make! 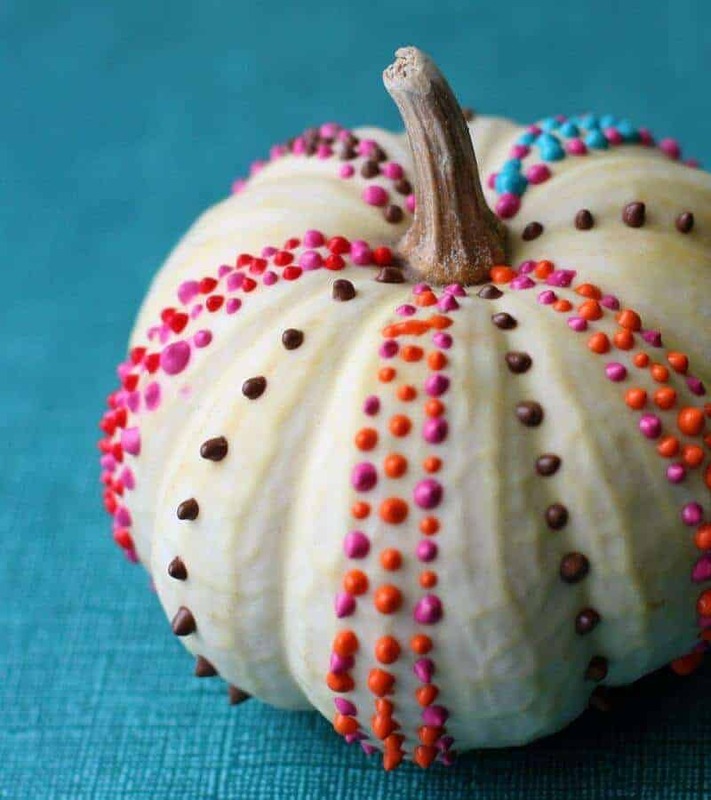 Love the color and texture that A Beautiful Mess used with fabric paint and an ordinary white pumpkin. 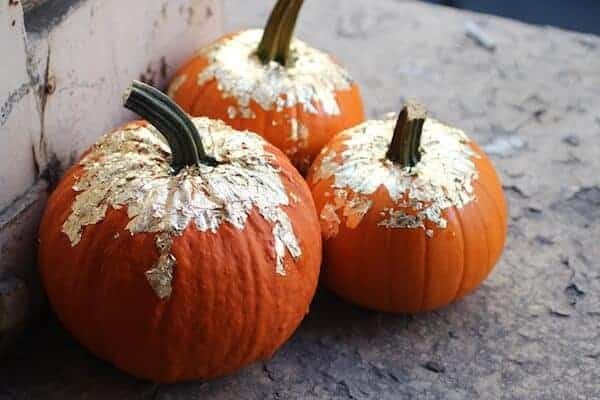 Grab the gold leaf and make some golden tipped pumpkins like these from The Stripe. 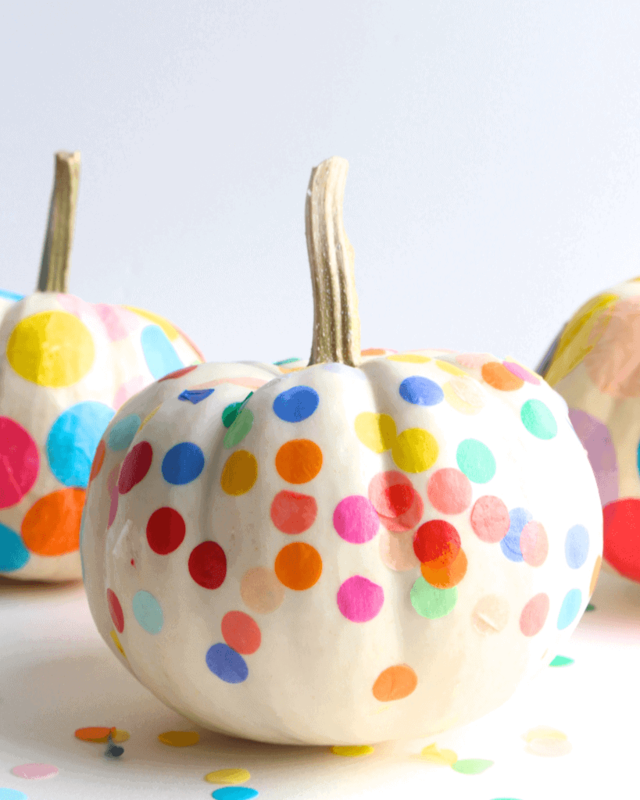 These confetti pumpkins are just adorable and so lively. Cloudy Day Gray shows us how to make them! 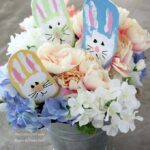 How smart is this idea from BHG! 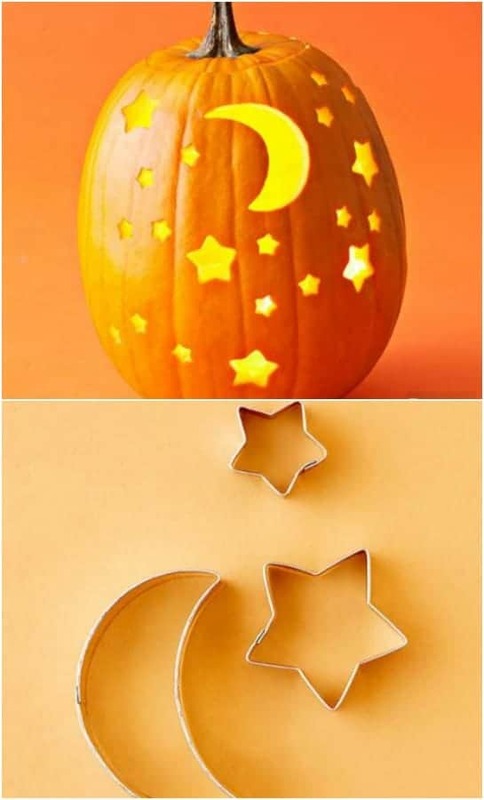 Use cookie cutters to carve your pumpkin. All you need is metal cookie cutters and a mallet! This may take a little more time, but your Harry Potter fan will go crazy over this Harry Pottter Pumpkin from @goodlassy on Instagram! 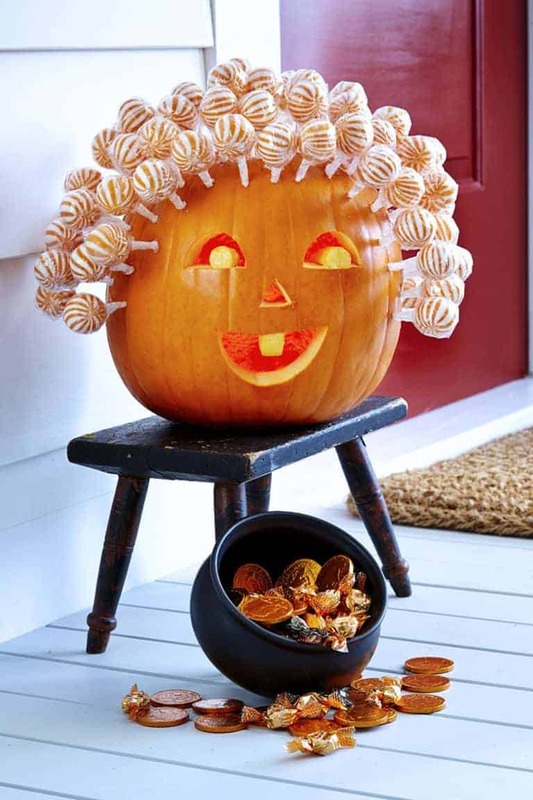 How about a Lollipop Pumpkin from Woman’s Day! 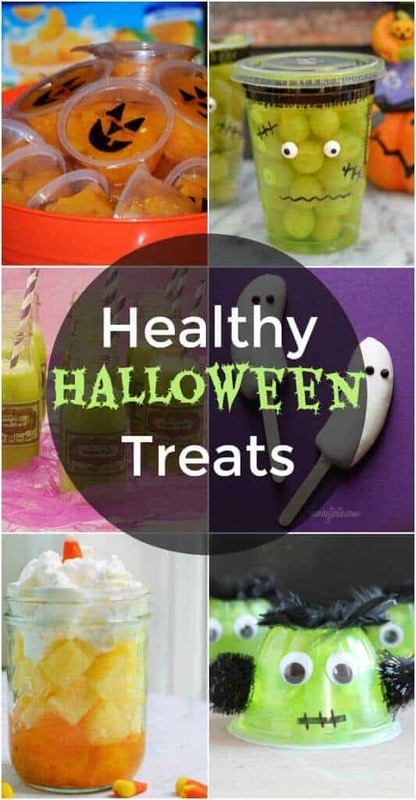 It only requires a little pumpkin carving and I may recommend using a drill for the lollipop holes! Gotta love when people get creative at their workplace!! 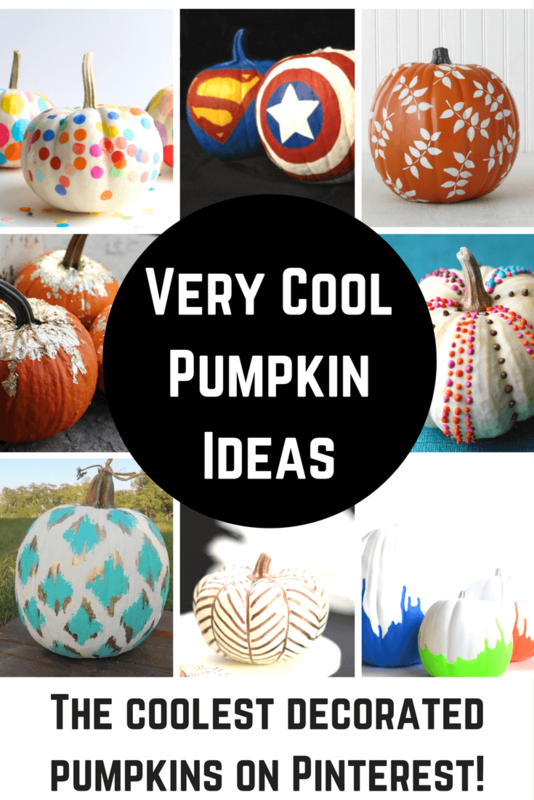 So many cute ideas for pumpkins. Guess I will try the melted crayons pumpkin first. Absolutely irresistible.